Watch each Easter egg hatch as you count down from 10! All is quiet. Not a peep. One chick hatches. "Cheep, cheep, cheep." In this sweet story, clever die-cuts, touchable plastic pieces, and fuzzy flocking all come together in a rhyming adventure all about Easter traditions. 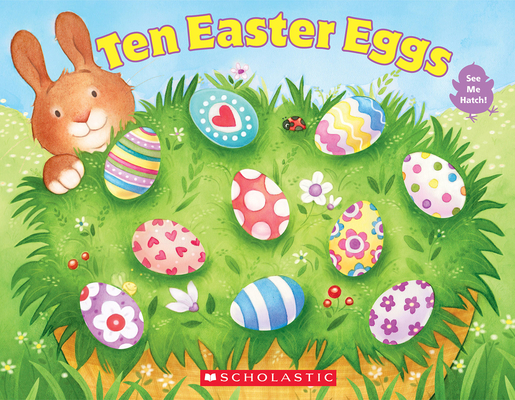 Follow and count along as ten quiet Easter eggs become ten colorful chicks ready to celebrate the holiday! A fun, engaging novelty story just right for the littlest of readers. Vijaya Bodach is the author of many books for both children and adults. She lives in South Carolina with her family. Laura Logan is a freelance illustrator living in Austin, Texas with her husband, son, and daughter. You can visit her at lauralogan.com.